Unisys, a computer parts manufacturer formerly located on Jeronimo south of Los Alisos, has been mandated by the State of California to clean toxic solvents in concentrations as much as 145 times the legal threshold found in the site’s groundwater. It’s speculated that the contamination may have occurred during the 1970’s when the company manufactured computers, conducted plating operations, and stored some hazardous materials. The clean up is expected to take 4-6 months. There doesn’t seem to be drinking water wells within close proximity of the facility, so residents need not be concerned about take precautions, according to John Odermatt, a senior engineering geologist for the State’s water quality board, adding it seems unlikely that Unisys’ former employees would be impacted. MV Universal is the property owner. When they sought to sell it in 2010, a groundwater review revealed the contamination. 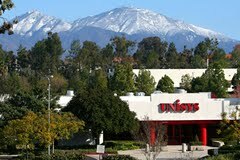 Earlier in the year, Unisys moved to Irvine from its Mission Viejo location of over 30 years.